The SW-MOTECH aluminum engine guard/skid plate is designed to protect the heart of the Honda Africa Twin from stones, logs and other debris that could cause catastrophic damage to your bike. 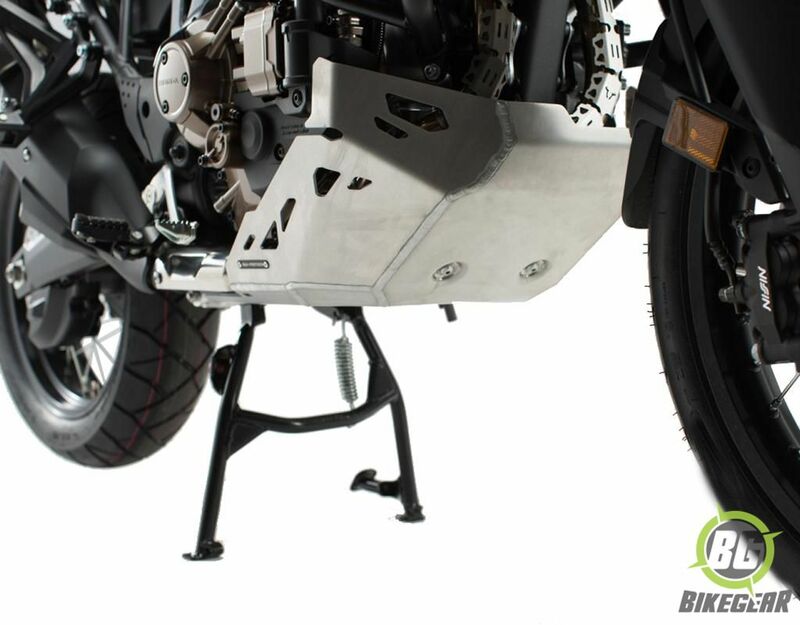 Heavy duty aluminum plate is completely welded and carefully crafted to follow the lines of the motor to create a low profile suit of armor that minimizes loss of ground clearance. 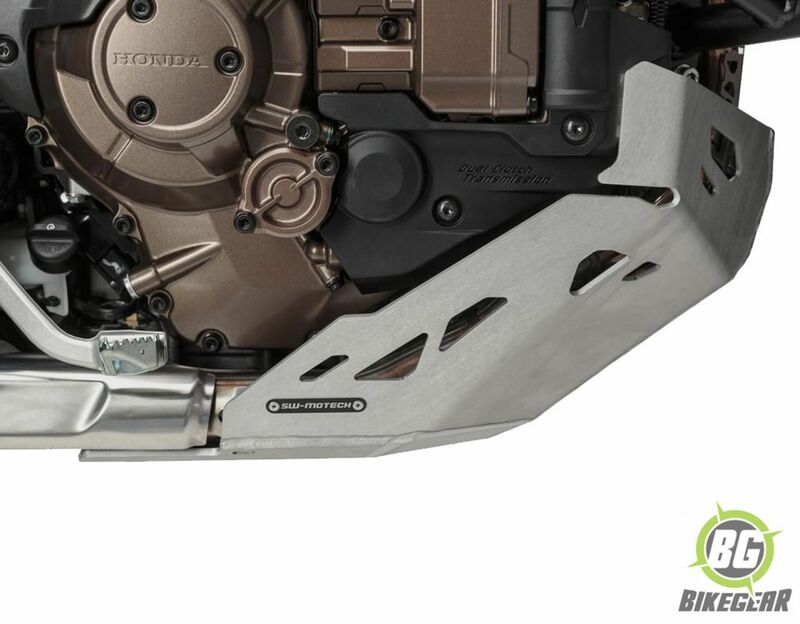 This essential skid plate covers the most vulnerable sections of the engine from the exhaust headers all the way to the oil pan and lower casing.Designed to bolt-on with no drilling, cutting, welding or other modifications to ensure your motorcycle is protected. 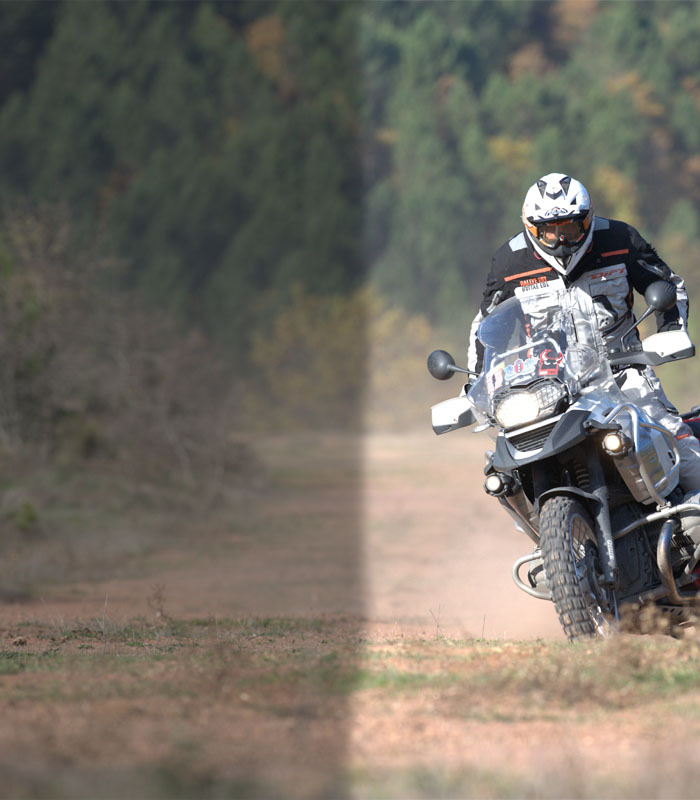 Invest in German engineered quality from SW-MOTECH to keep your motor safe through the most rugged terrain and back home again! Angled to deflect debris and stones and lessen impacts. Protects leading edge of transmission and stator case. Follows the contour of the motor. Low profile design minimizes reduction in ground clearance.